Harry Staunton was born on 19th May 1908 in Redhill, near Durban, South Africa where his father, Gilbert Patrick Staunton, practised as a doctor. At around the age of ten he left South Africa and became a pupil at Norwich Grammar School. On finishing school in 1925, he registered as a medical student at St. Bartholomew's hospital London where he graduated in 1931. He began his military training at Aldershot the same year. In 1934 he joined the Indian Medical Service and left for Bombay on the HMS Dorsetshire. His first posting was as Lieutenant (on probation) in Rawalpindi where he took charge of the the Indian Medical Hospital. He helped with the rescue work at Quetta after the earthquake in 1934 and was promoted to the rank of Captain in February 1935. Thereafter, he was with Western Command, Quetta where he specialised in Otology, Rhinology and Laryngology. Staunton's connection with Tibet began on the 7th January 1940 when he was appointed Captain (on deputation) accompanying Basil Gould to Lhasa to attend the installation of the 14 th Dalai Lama (Tenzin Gyatso). Harry Staunton thereby became one of two Westerners ever to have witnessed the installation ceremony of a Dalai Lama. Gould, Staunton and some fifty non-British members of the Mission staff were present on the second day (23 February 1940) of the eight-day ceremony. When Gould returned to Gangtok (Sikkim), Staunton stayed on in Lhasa and, from August 1940 - January 1942, he served as Civil Surgeon: Bhutan and Tibet assisted in his duties by Dr Rai Sahib Tonyot, a Sikkimese doctor. Staunton reputedly treated the young 14 th Dalai Lama for measles in 1943. In 1942 Staunton met his future wife, Silvia, a nurse in the Queen Alexandra's Indian Medical Nursing Service in Bombay. At the time of his death in 1945, he had become Registrar at a large general hospital in Bombay. Major Staunton died in an aircrash on 22nd November 1945 when returning to India from England where he had been on compassionate leave to visit his mother. The plane crashed shortly after take-off from Yeovilton, Somerset, killing all 27 passengers and crew. His widow gave birth to their second child, Diana, a week later in Bombay. 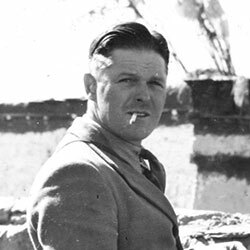 Billington, J, 198?, 'Captain H W G Staunton (I.M.S), Lhasa 1940' in The Tibet Society Journal , pp. 10-12. Gould, B. J, 1941, 'Report on the discovery, Recognition and Installation of the Fourteenth Dalai Lama'. New Delhi: Government of India Press. Richardson, H. 1993, Ceremonies of the Lhasa Year , London Serindia Publications.